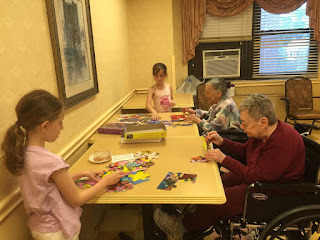 Kid Caregivers: Puzzle Day - Have You Solved Any Puzzles With A Loved One? Puzzle Day - Have You Solved Any Puzzles With A Loved One? 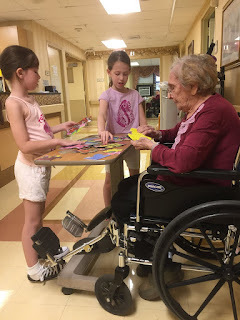 I recruited my good friend and we spent the day with the seniors at my mom's nursing facility. 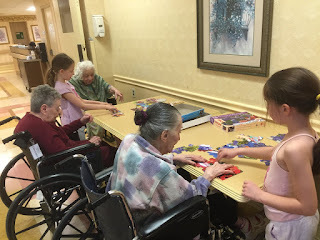 We were very productive. 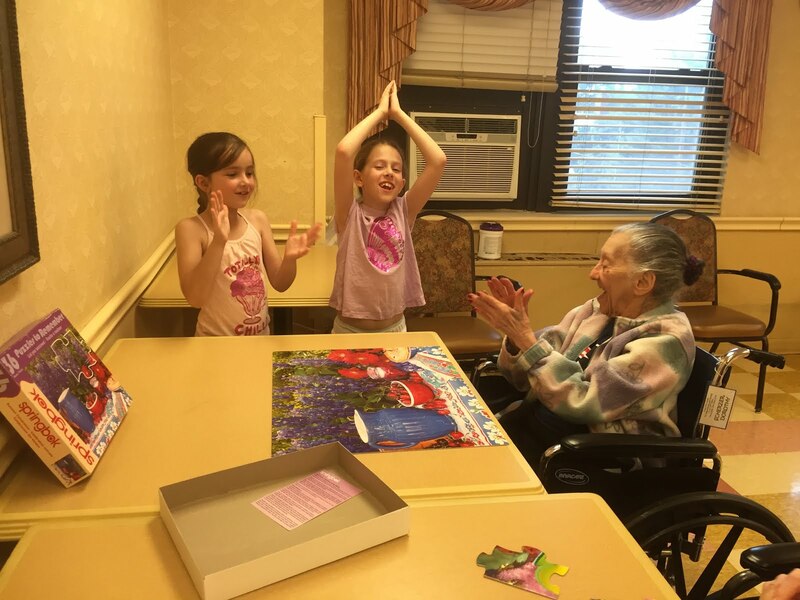 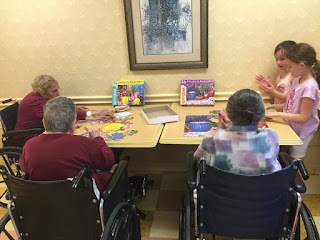 All the seniors that we worked with were very happy during our puzzle activities. We let the seniors take the lead. If they needed help we directed them, if they seemed independent we encouraged them to solve the puzzles.